The International Civil Aviation Organization (ICAO) meets this month in Montreal to continue discussions about making flying more environmentally friendly. And if you want to know what they’re talking about, who’s pushing for progress and who’s blocking it, and what the industry itself knows about the damage it’s doing to our only planet, well – you can’t. According to a damning investigation by Eye on Global Transparency, ICAO is “one of the most opaque international organisations.” ICAO makes none of its papers available to the public, before or after meetings. It hand-picks the members of its group advising on environmental matters, and gags them with non-disclosure agreements. It charges hundreds of dollars for a copy of its official summary – which constitutes little more than a PR exercise. This is the dark network of aviation. In an overheating world where passenger numbers are expected to double by 2035, truly radical measures are needed in aviation. The problem is that what is needed are measures that would significantly reduce the scale of the industry in order to save civilisation from itself. That’s not something the world’s airlines want to talk about. Their plans are for expansion. Aviation today pumps out about twice as much carbon dioxide as the whole of the UK, except it does it at high altitudes where the warming effect is amplified. Yet the industry is keen to trumpet its 2050 target – to reduce carbon emissions across the industry by 50%. The problem is that these two goals just aren’t compatible. The intensity of the energy needed to power flight requires fuels that pack colossal amounts of energy into a small space. Solar aeroplanes exist, and the most impressive so far, Solar Impulse, carried two people around the world in 17 stages over the course of a year. There’s only one realistic alternative to fossil fuels, and that’s jet biofuels. Again, there are serious problems. The types we can readily make would lay waste to rainforests and replace food with fuel crops – the rich fly while the poor die. Attempts to solve that problem using algae instead of crops have so far met too many barriers. Right now, the world is burning. The appropriate survival response is to reduce air travel until the technologies exist to make it safe. And this is achievable. Many of the goods flown to our shops are things we simply don’t need – like daffodils in winter, or green beans from Kenya. In the rich world, a generation has got used to cheap flights. That’s made flying more accessible to people who were once excluded, and it’s also brought us hen nights in Marbella. Fun, but probably something we can cope without. Unlike a habitable biosphere. Most people remain blissfully ignorant of the damage a flight does. Take the globally average citizen. This person’s road travel, home heating, cooking, cleaning, eating and shopping for a whole year results in about a tonne of carbon dioxide emissions. One seat on a return flight from London to New York emits more than twice that in 10 hours. Add in the issue of air pollution affecting respiratory health, and there’s no escaping the fact that for all its benefits, flying is a filthy habit. One sensible strategy would be to raise awareness on travel sites. Is ICAO considering such measures? Your guess is as good as mine. And mine is – nope. Another measure might be for governments to tax aviation fuel rather than subsidise it. Such ideas have been taken seriously by economists and politicians with influence. Is ICAO proactively attempting to block such measures? Almost certainly – but there’s no way of finding out. They’ve made sure of that. More radical ideas include capping aviation emissions so that there’s a legal limit. The global industry would have to share out the rights to flights, and the only way of creating more flights would be to improve fuel efficiency. Or what if every individual was given an equal quota of emissions? Then if I wanted to keep my lifestyle, I’d have to buy part of someone else’s share – probably someone much poorer who doesn’t need all of theirs them, in a place like Tanzania. That would help lift them out of poverty, and I’d suddenly become very aware of my carbon footprint. If I take that trip to New York, I’m not going to be able to get fuel for my wood burner this winter. We’re on the brink of climate meltdown and one of the toughest issues is aviation. 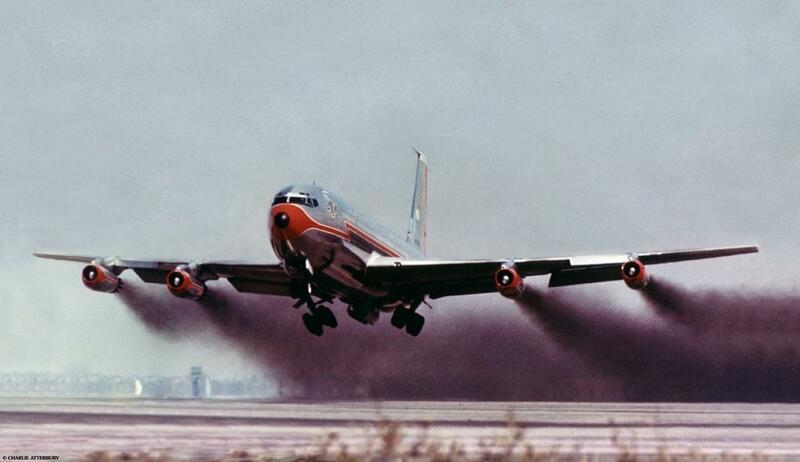 With friends and relatives who live all over the world, and no such thing as an environmentally friendly aviation fuel, for many people there are no easy answers. But the starting point is being honest. If we recognise the problem, we can face facts, accept the dilemmas and the hypocrisy involved, and make the best choices we can. That’s why it’s so shocking to discover the lengths that the aviation industry itself is going to in its attempts to conceal its discussions, data and plans regarding how to green up. We all deserve better.